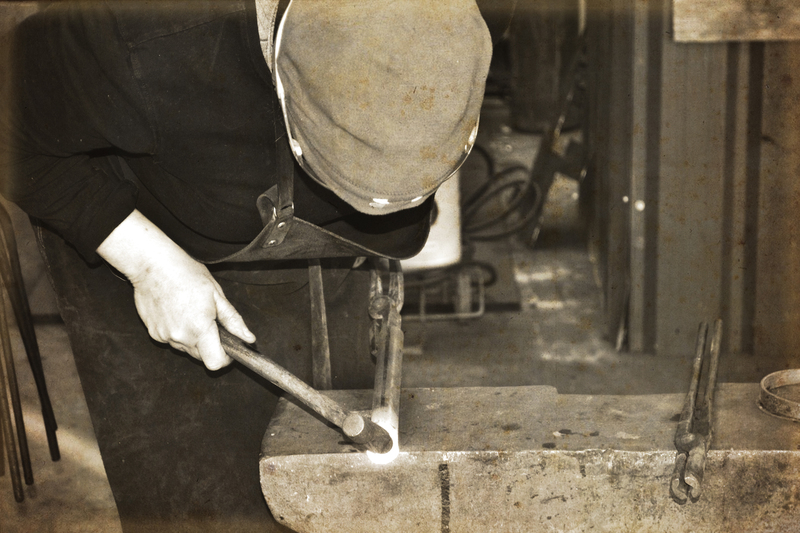 Today’s post is a guest post by Ben Knowles, a blacksmith of English lamp posts. He works for ww.EnglishLampPosts.co.uk. Ben, thank you for your article! As a blacksmith at the English Lamp Post Co, I am extremely privileged to be able to immerse myself in an art form and an era I am so passionate about on a daily basis. Having been an enthusiast of the Victorian age and all it had to offer, ever since my first breath-taking trip to Ironbridge Gorge as a child, taking in the magnificent bridge, not to mention the Victorian village, I have been hooked. I thoroughly enjoy keeping the traditions of my craft alive and sharing the must have accessories of the Victorian age with fascinated visitors, here I would like to share with you just how I create one of the everyday Household essentials of the period. One of my favourite pieces to create is an authentically period candle holder, think Dickensian, Victorian style, the type of candle holder clutched by Scrooge while walking around his vast rooms after dark. Though the process is relatively straight forward I am always so thrilled to hold on to something truly Victorian in both inspiration and design. I begin with a perfectly formed disc of iron, working each individual piece from the base to the candle stand itself at the blisteringly hot coals of the gorge. With the candle holder crafted I am able to add the finishing touch, a final flourish in the shape of a classical yet perfectly reserved and ever so Victorian, scroll handle. The handle is heated within the scorching coals and beaten in to shape at the anvil to create my traditionally beautiful candle holder. With a tapered candle in place the Victorian stand looks effortlessly period and is a stunning feature for any property or room looking for an enhanced sense of character. It’s so wonderful that people are able to keep such a tangible part of history alive this way. 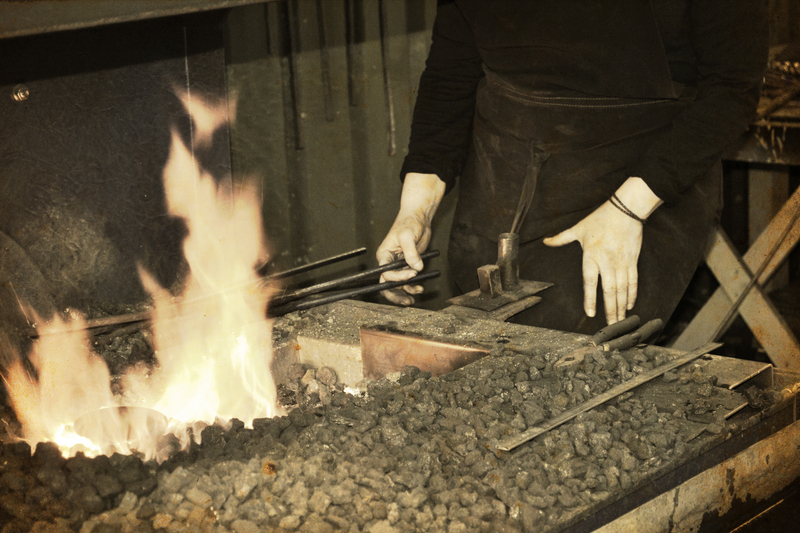 Blacksmithing is quite an art, and to do it in an authentic “period” way is breathtaking to see! Thanks so much for sharing. I’m impressed how so many of the techniques used by the Victorians still are used today. The amount of detail they were able to architect in their workings is something we should be proud of.